In your press releases you have mentioned that CSX Heavy Haul is just the first release in the Train Sim World franchise. Will future releases be purely DLC, or will they all come with the standalone experience? 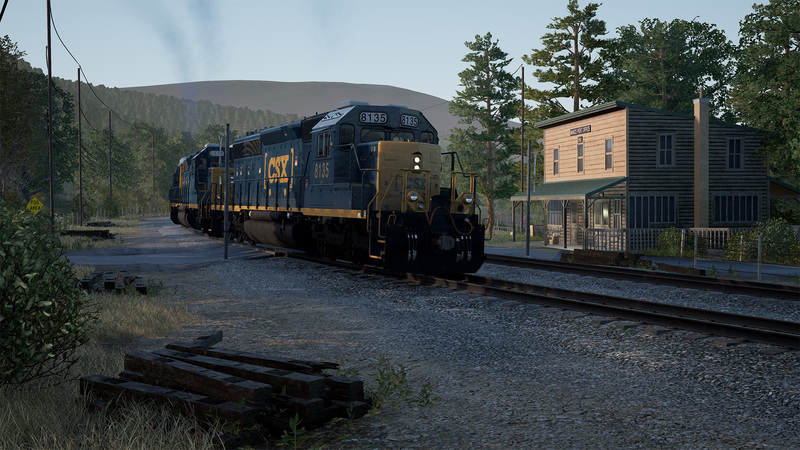 Train Sim World: CSX Heavy Haul is effectively the base platform for all future content and the entry point for what will evolve into the full Train Sim World experience. We are planning to bring routes and locos from a variety of different territories, including the UK and Germany to the platform which will come together to begin the transition from Train Sim World: CSX Heavy Haul to simply Train Sim World. Fans of the Train Simulator franchise can have £1000s worth of DLC in their libraries. Are you worried that those fans are going to feel Train Sim Word: CSX Heavy Haul is a little light on the ground? 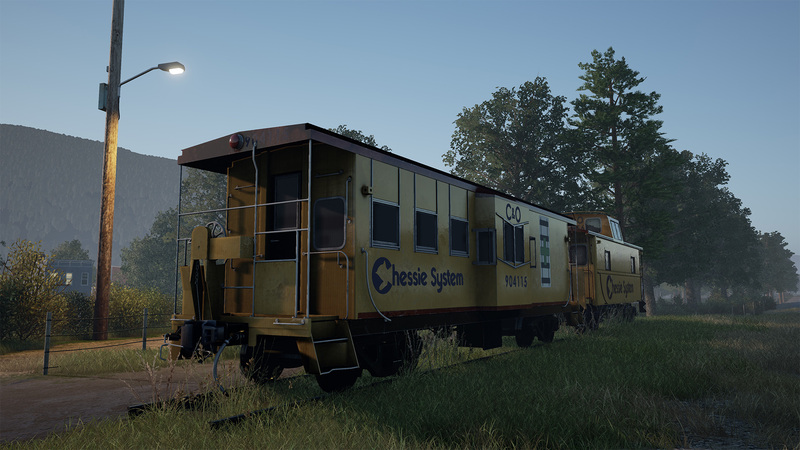 Not at all, working with the Unreal Engine has allowed us to create what is in our opinion one of the most immersive, interactive and compelling train simulator experiences imaginable and the depth and diversity of content in TSW: CSX Heavy Haul will provide hours of challenge and reward for players. Plus we still have a diverse range of content in the pipeline for Train Simulator and will continue to support it for as long as makes sense for our players. One of the most appealing parts of the Train Simulator experience is that every year, when there is a new game, all existing players receive the updated version of the game and only need to buy in to the additional content at a reduced cost. Should we expect a similar business model for Train Sim World? It’s probably a bit too early to be talking about the business model definitively at this stage, but this is something we have been discussing a lot lately, the key things are keeping everyone on the same technology base whilst providing them with the content that most appeals to them. What have the challenges been in transitioning from previous development pipelines into the Unreal Engine? When we started the project to build a next generation train simulator, we had very high ambitions for what that could be. The whole paradigm shift from the game just being about driving trains to letting the player get out of the seat, climb off the train and walk around to explore the world they were in completely changes how we had to think about building just about every aspect of the simulator. Moving to Unreal Engine 4 has meant that the whole team has had to learn a set of new tools in addition to the ones they are already familiar with to try to get our giant (as compared to most video games) open real world environments working with trains across a 24 hour time period that you can jump to at any location and any point in time! We started out by developing Euro Fishing in Unreal Engine 4, with a view to gaining experience in building a simulator using that engine and learning the tools and techniques. Not only did we succeed in this and learned a lot that has significantly benefited the development of Train Sim World, but we were also able to produce a seriously fun fishing sim too. There is a wider and richer range of tools that you use to get the most out of a next generation engine like Unreal Engine 4, adding full material setup to objects has added a new range of challenges but also massive scope for much more realistic visuals as well. We were very comfortable with a well established pipeline in Train Simulator, with a set of well-known tools and processes – in moving to Unreal Engine 4 we started out largely looking to build on what we knew but as things have progressed we’ve had to go back and review everything we do to create routes and trains and come up with new processes and guidelines that enable us to get the best out of the new engine without seriously impacting the frame rate. When we started developing the Train Sim World we constantly bench-marked ourselves against the latest AAA games being released both from a functional and graphical perspective. Was our simulator stacking up? The hard answer at one point was that we were on the verge of creating an awesome “Train Simulator 1.5” but we were missing the mark on our lofty ambitions for creating a next generation experience. We set about reviewing everything we’d done and really challenging ourselves to say “can this be better?” over and over. 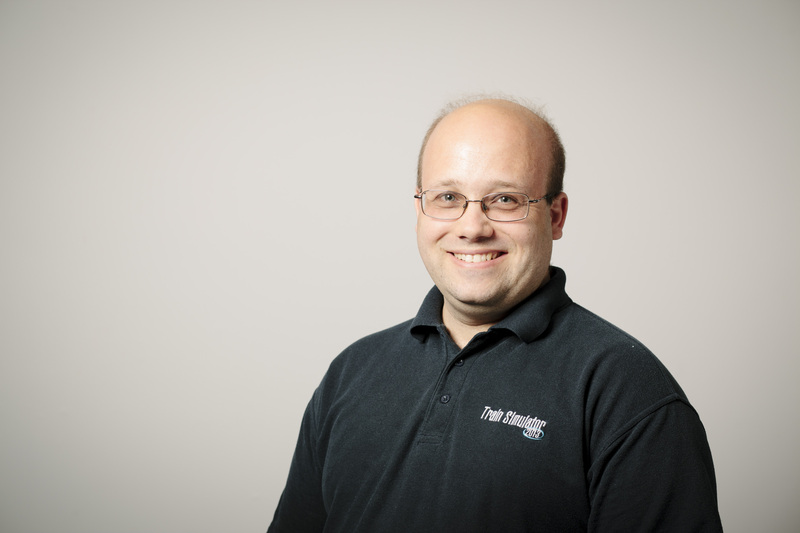 This whole process drove the team to transition themselves to where they are now; producing the most detailed Train Simulator that’s ever been released. We now have players walking around in first person mode and therefore they will have an expectation of the kind of scenery quality level they expect to see anywhere they can walk. This has led us to consider carefully where people can walk, making sure that we really turn up the detail in those areas to the maximum but then offset that with some really creative techniques away from the “touchable” area so that it looks just as convincing but with much more efficient assets. Sand Patch Grade also has a very large number of densely packed trees throughout its entire length so there were some challenges to overcome in trying to recreate that convincingly but yet still run at a sensible frame rate on the player’s computer. The vehicle team has also had to rethink how our trains are built; with the player able to walk around freely we now have to build the cab in as part of the exterior model, which creates a much bigger need for optimisation. The end result is pretty slick but it’s a long way from where we started and the team has learned a tremendous amount. Also, we saw at the Unreal GDC talk a host of companies that have modified the engine to their needs. Have you needed to make any in-house upgrades in order to build Train Sim World? Our engineers have spent a lot of time in the core engine doing various things – while we’ve generally tried to stay as close to the official builds as possible, we have had to make a number of core changes to support some of the unique attributes of our game such as how Unreal handles the large worlds. We have also added a huge range of our own tools to the Unreal Editor that add map building tools like Track Laying but also larger systems like our SimuGraph system which uses the blueprint visual design tools but is actually entirely developed in-house. SimuGraph is designed to handle all the power and braking physics and allows us to visually define what components are in use and how they are connected, such as diesel engines, brake pipes, various valves, traction motors and all the other common components you’d expect to find in a locomotive. We regularly review the changes and fixes coming in future versions of Unreal to see whether we could / should benefit from them now and if so, get those integrated ourselves. We have also found a number of areas where the engine or the editor don’t sit well with the way that our large open worlds work (for example, having a real world latitude and longitude coordinate system) and have had to spend time working on some modifications to smooth those areas out. Even small changes like changing the location and filename of screenshots needed to be done in Engine code. For me, this is one of the big strengths of Unreal Engine 4; we’re not limited in any way by the engine and can always build on it in any way we need to in order to deliver the best experience. And why Unreal? Why not any of the other widely used game engines? Why change at all? At the time we first started looking at creating a next generation train simulator, which was some years ago, we reviewed all the top game engines and experimented with some of them as well. We chose Unreal because it has such a solid pedigree, it’s in its 4th iteration and is well-known and superbly supported by Epic. We also fully planned to start working with other platforms including consoles and this became an important factor in the decision. Epic felt like a really great partner to work with and our engineers and artists immediately felt at home in the very powerful Unreal Editor. At the time, it was also one of the few engines that fully supported unlimited map streaming, and when you’re looking at a map that – at a minimum – needs to be 60-100km long, that really eliminated many engines from the review process. Now we’re at the end of the long process of developing the first release of our new Train Sim World product using Unreal Engine 4, I think we feel very pleased that this was the right choice for us and Unreal Engine 4 supports our vision for the continued development of Train Sim World in many new and amazing areas in the future! Can we still expect DLC packs for Train Simulator for the foreseeable future? Even an updated version of the game? You certainly can! As we mentioned earlier, we will continue to release content both in-house and alongside our third-party partners for Train Simulator for the foreseeable future and will continue to support the game for as long as our community shows there is a strong demand for it. Train Simulator has been the proverbial backbone of Dovetail Games since the inception of the company and to leave it behind entirely would be a massive disservice to a platform, which has supported us and so many rail enthusiasts for so long. What does the future of Train Sim World hold? Can we expect the same diversity as Train Simulator with Steam Locomotives of the past, routes of the future (such as the GARL in Train Simulator) etc.? Absolutely. Train Sim World alludes to the future scope and variety of the experiences and content that you will encounter within the product, a ‘world’ of all things rail related. Obviously for us to get to a point where Train Sim World can live up to its name, we are going to need a diverse roster of content that spans different areas of the globe and includes the countless variations of rail traction, so things such as Steam locomotives, routes of the past and more are certainly on our radar. Finally, can we expect to see VR support in Train Sim World? What a pity the reviewer failed to ask him any pertinent questions regarding the abysmal optimisation of this game. It runs like a bag of poo, even on powerful gaming machines and with dovetails pedigree, or lack of it, I certainly don’t hold out much hope that this game will be anything more than a massive white elephant and another nail in Dovetails coffin!